Just in time for Musikmesse Frankfurt 2011 the innovative custom drum manufacturer Rockstroh Drums from Leipzig presented a brand new bass drum system. Conventional bass drums to this day do not offer a flexible option to customize their sound. Until recently the tension of drumheads had to be adjusted on one or both sides in order to model specific tones. This includes adjusting up to twenty individual screws, which always meant a huge loss of time. Additionally, it had formerly not been possible to easily access the inside of a drum, for example when placing a microphone. 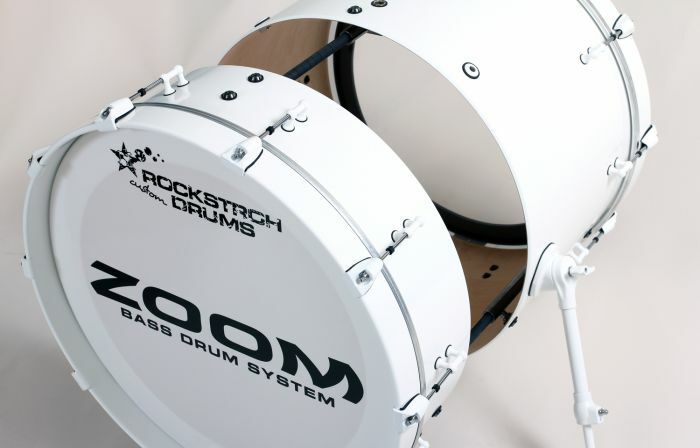 The invention of the Zoom Bass Drum presents an adjustable, expandable and easy to disassemble bass drum, which gets rid of stiff sound production and instead enables a variable tone as well as easier access to the inner barrel. In cooperation with the designers of Studio Hartensteiner and the organizers of the Leipzig Designers Open, Jan Hartmann and Andreas Neubert, we developed a variable Zoomsystem for drums of any size. The production includes splitting the bass drum and installing the Zoomsystem. 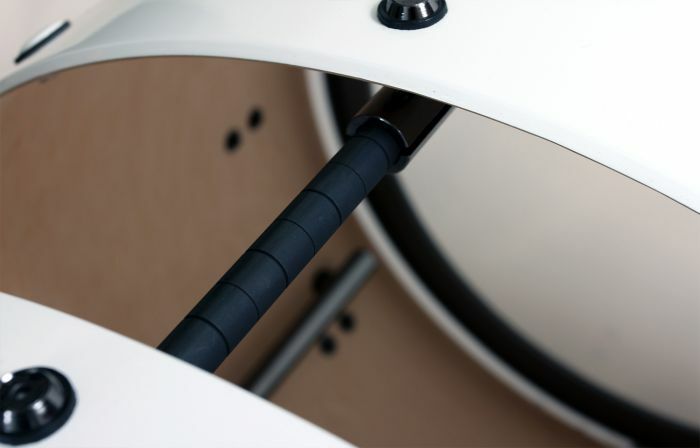 The result is a drum that’s fully adjustable to the drummer’s personal preferences. The ZoomBassDrum offers a myriad of ways to experiment with sounds and microphone positioning, with which you can realize your acoustic ideals. 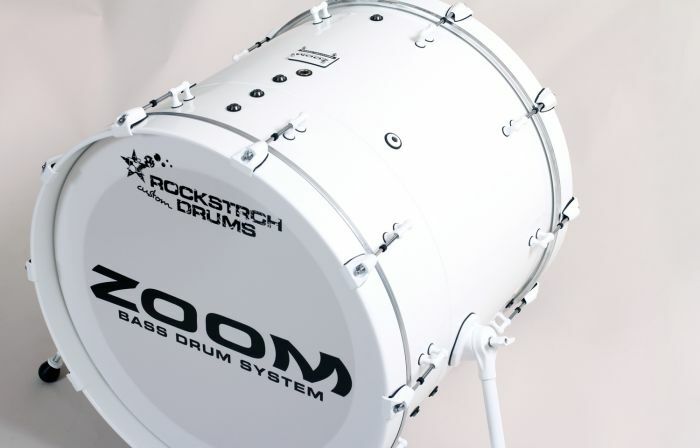 Click here for a review of our Zoom Bass Drum in the 06/2011 issue of Drums & Percussion!